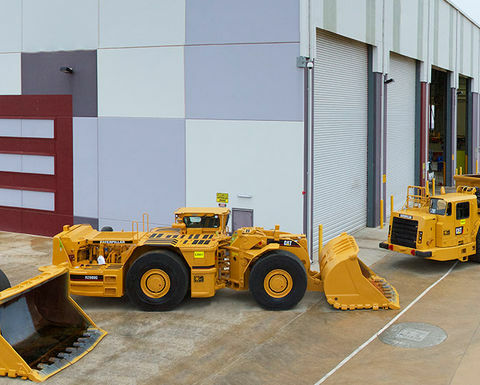 Major Peel region employer and industry service provider, Murray Engineering is investing $2 million in new facilities at its world-class Pinjarra workshop complex to bring all fabrication and machine rebuild finishing in-house via the addition of a blastshed and expanded under-cover construction area. 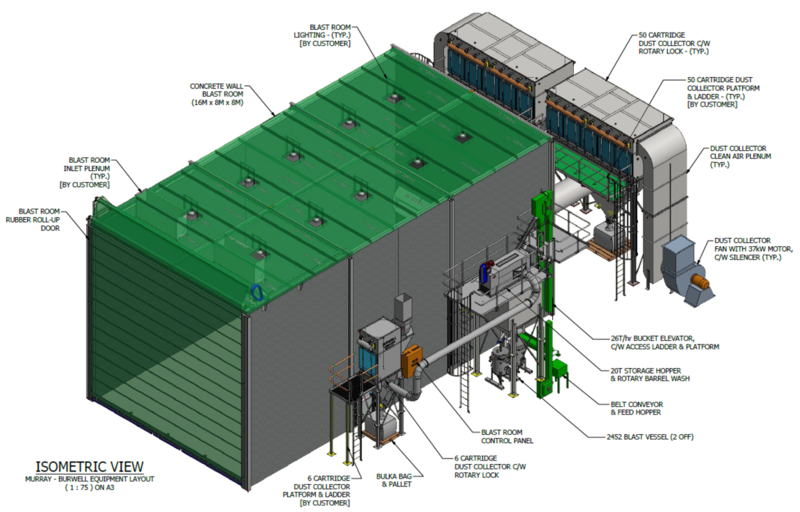 The new blastshed, featuring a state-of-the-art, Australian-made Burwell blasting system, brings all construction steelwork and equipment rebuild preparation activity in-house for the first time, enhancing quality and delivery control as demand for Murray's fabrication and machine rebuild services continues to grow. 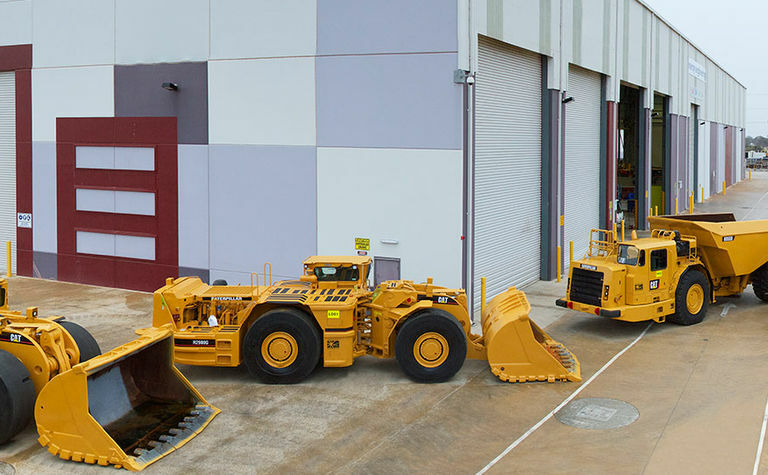 Mechanical manager Shane Dunn says establishment of a complete one-stop-shop with the addition of the blastshed and eight new light fabrication bays will enable Murray to keep up with surging demand, which has doubled in the past two years. As well as the Burwell blasting unit, Murray is adding a pipe bender press and CNC band saw. "The demand for blasting has gone up by 100% and our external suppliers have found it hard to keep up," he says. 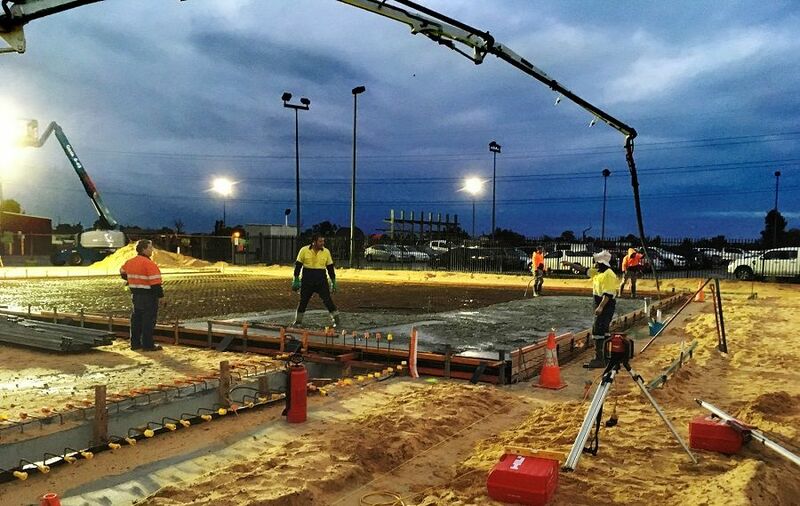 Murray Engineering, which has more than 280 people working at the 55,000sq.m Pinjarra complex, currently has a double shift doing fabrication work, and about three months' work ahead of it. Dunn says the expansion will increase capacity by about 30% and decrease lead time by 30%, while adding 12 new jobs. Murray Engineering managing director Craig Lindsay-Rae says the company's recent SCA (Steelwork Compliance Australia) certification makes it one of only three companies in Western Australia with the accreditation. "Following on from this, we are confident we can attain CC3 certification, which is a certification to conduct higher risk, more complex work." Only nine companies Australia-wide have this certification. "Bringing the blasting process back in-house will enable us to govern the preparation of painting surfaces with our ISO 9001 certification, and use our own trained team," Lindsay-Rae says. "This eliminates any wait time between paint preparation and spray painting, streamlining the whole process and enables us to achieve a higher quality finish."